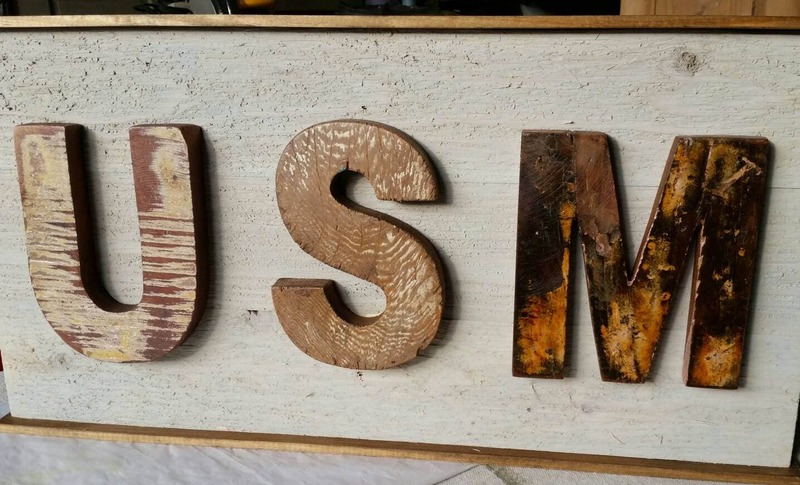 USM Handmade Distressed Wood Plank College Sign - University of Southern Mississippi - Dorm Room - Inside or Outside on a covered porch. 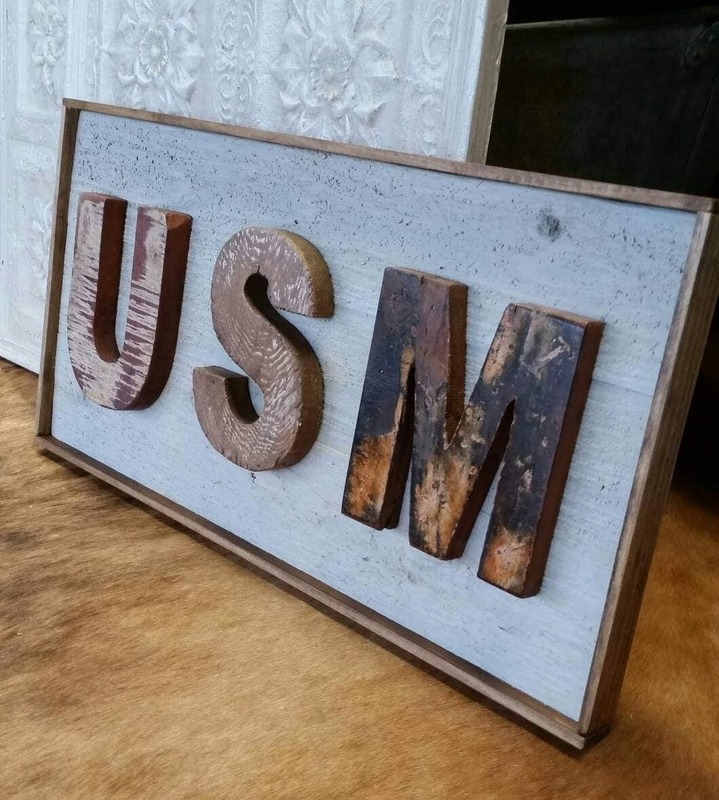 Sign for University of Southern Mississippi college student or alumni this would be the perfect item or gift. 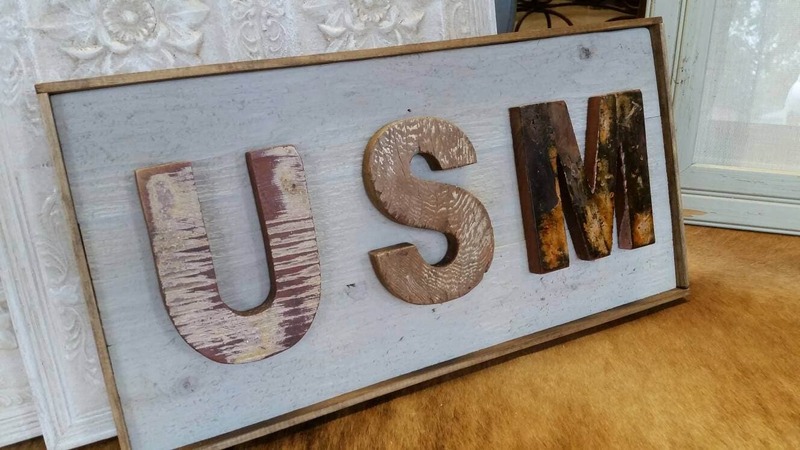 This wood plank sign has a coastal cottage feel it can be wall hung or just lean against the wall or in a bookcase. 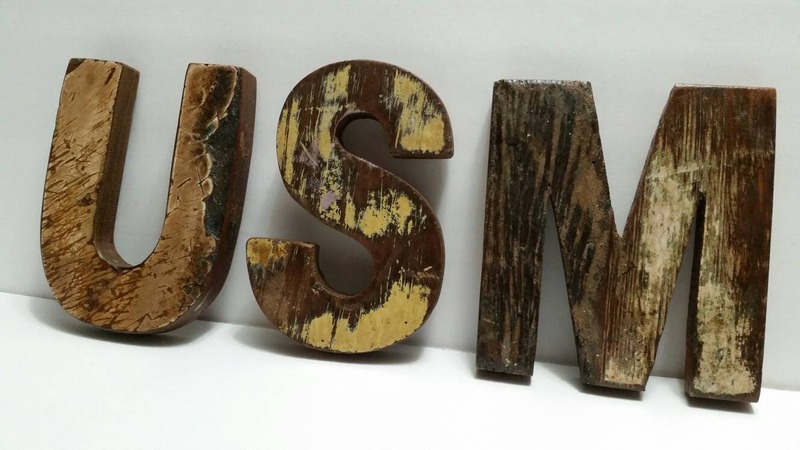 Overall panel size is 24" high x 11 1/2" wide x 1 1/2"deep. 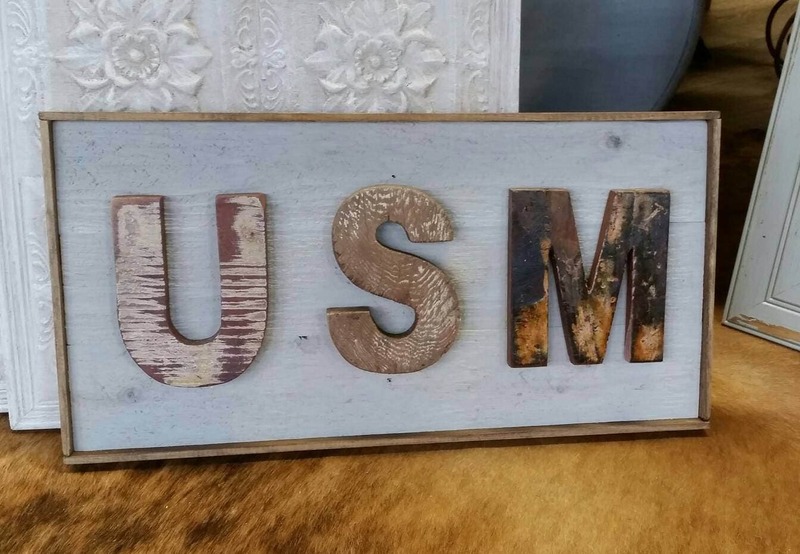 Can be used inside or outside on a covered porch. 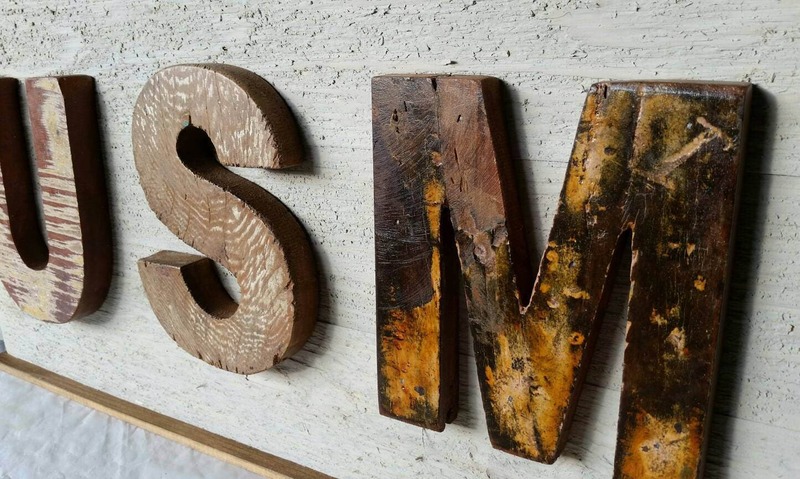 Note the the loose letters pictured is the ones you will receive on your wood sign. Custom signs are available - just ask.